Our annual chapter-wide convention will be June 13th-16th at the Hilton Sandestin. Join us for beach fun, golf, a casino night benefitting our scholarship fund, and great learning and networking opportunities! If you would like to call with a credit card for a monetary donation you may call Anna or Michelle McDonald 205-451-1441. 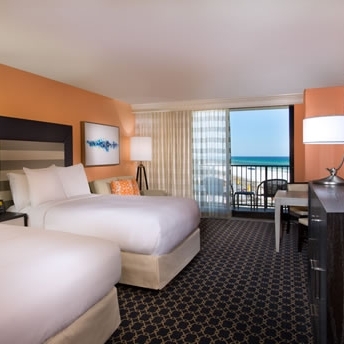 Sandestin Hilton hotel block of rooms is now ready. Please verify your check in and check out dates as the Hilton allows our special rates a few days before and after if available. Room rates are based on the type room you choose. Nearly 300 members and guests attended the 2018 Alabama AGC Annual Convention in Sandestin last June, enjoying the chance to network, learn a thing or two, play some golf and enjoy time at the beach.